The AGLCC Toastmasters club is part of the international Toastmasters organization, helping people improve their communications and leadership skills in a friendly and welcoming atmosphere. The AGLCC club is the only LGBT Toastmasters groups in Centra/South Texas. 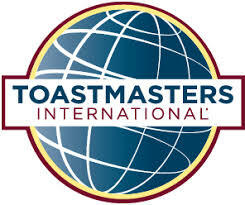 AGLCC Toastmasters meets every 2nd and 4th Monday from 6-8pm. Check the Events Calendar for the latest updates on time and place. Guests are always welcome and are never required to speak.